Scott Wallace speaking to supporters. 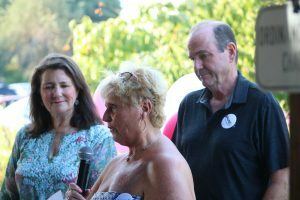 The Bucks County Democratic Women’s Forum rallied and launched a canvassing effort for congressional candidate Scott Wallace Tuesday evening. 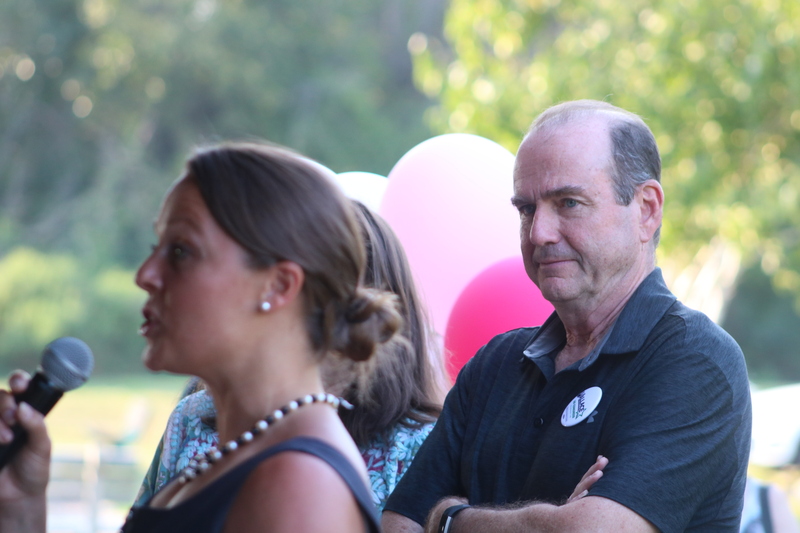 Wallace, his wife, and daughter gathered with supporters at Falls Township Community Park. Wallace was joined by Democratic Congresswoman Diana DeGette of Colorado, Bucks County Democratic Women’s Forum President Helene Ratner, Middletown Board of Supervisor Chairperson Amy Strouse, and a Sellersville woman who spoke on behalf of Planned Parenthood’s health services. 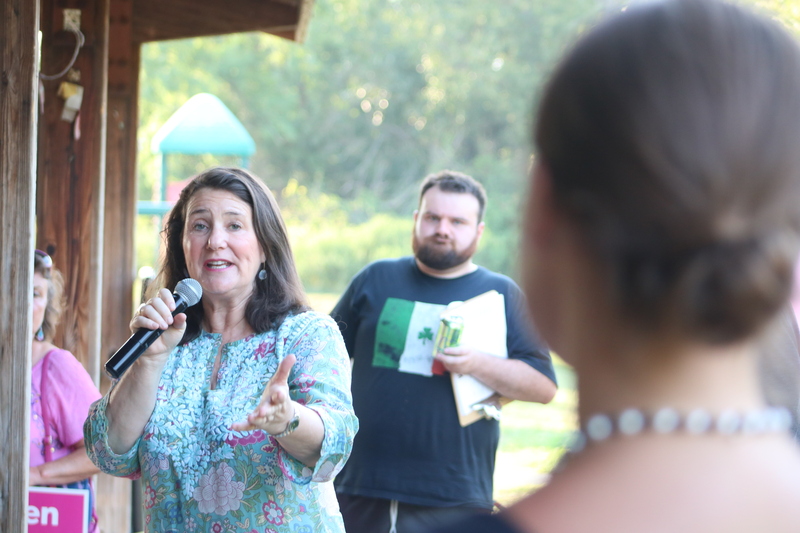 Bucks County Democratic Women’s Forum President Helene Ratner speaking to supporters. 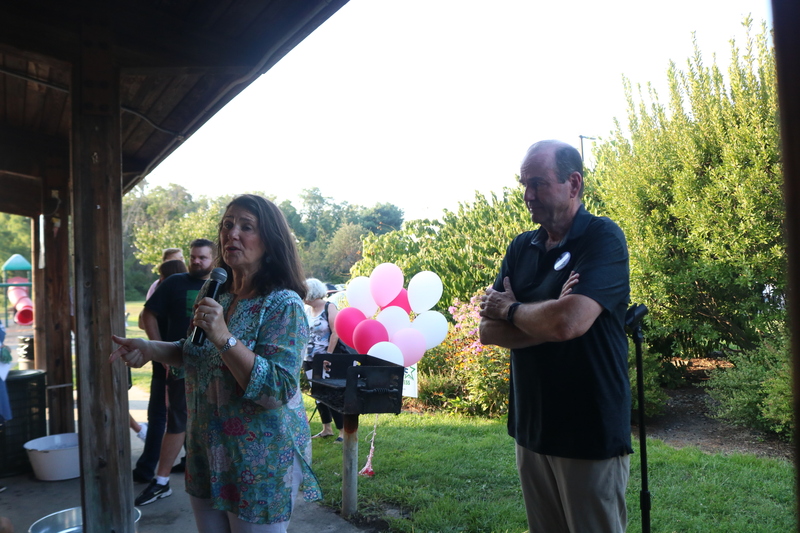 Ratner warned the roughly 50 attendees that the Republican agenda could threaten health services offered by Planned Parenthood. 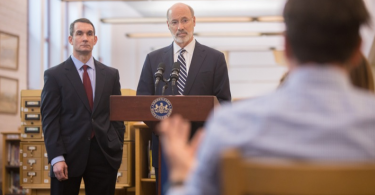 “Scott Wallace has our best interests at hand,” said Shay, a Sellersville Planned Parenthood supporter who did not wish to have her last name published. Shay explained that she supported Planned Parenthood and their mission to provide health services for women because she had used their services in the past, including for a procedure related to the discovery of precancerous cells in her body. 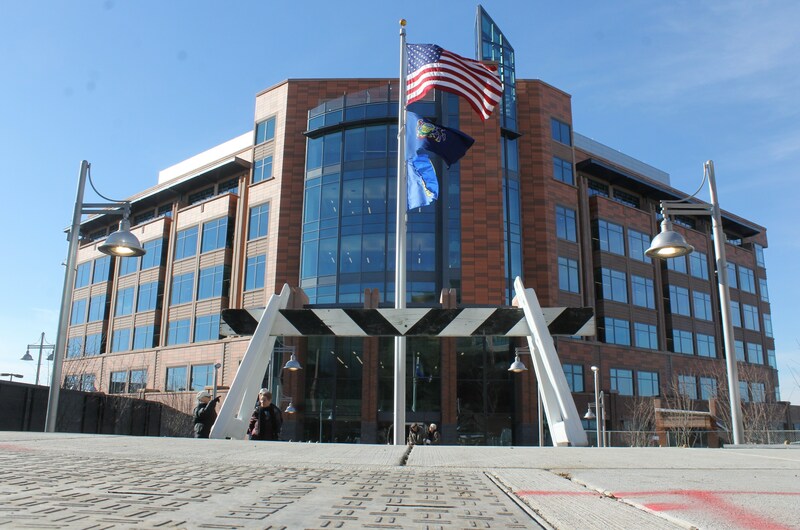 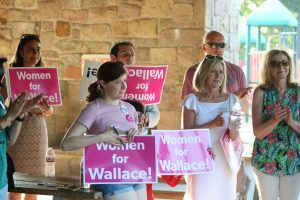 Strouse, who was joined by her elementary school-aged daughter, said as Republican President Donald Trump holds “women in contempt” and Congressman Brian Fitzpatrick supports his agenda, it was more important than ever to vote for Wallace this November. 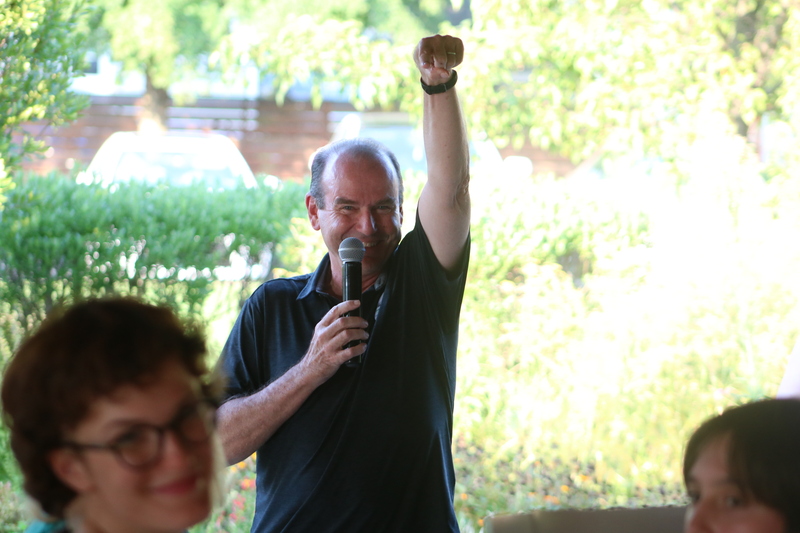 “The stakes in this election could not be higher and Scott Wallace could not be a stronger candidate,” DeGette said. 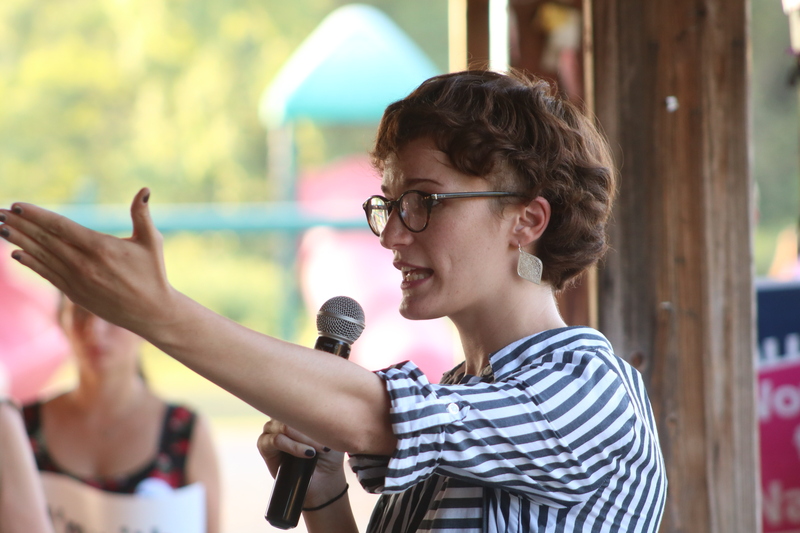 Minimum wage, labor rights, and job skills are among the issues important to women in the First Congressional District, the candidate said. 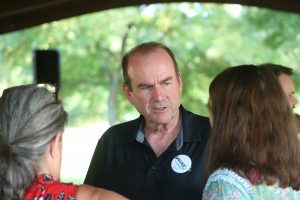 Following his speech, Wallace spoke with NewtownPANow.com about his family’s Wallace Global Fund that has supported women’s issues around the globe. 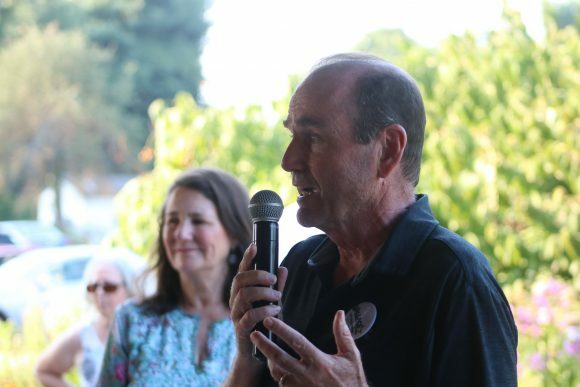 He hammered down on research the group funded that looked at organizations with female leaders and said he has invested in women-owned businesses. 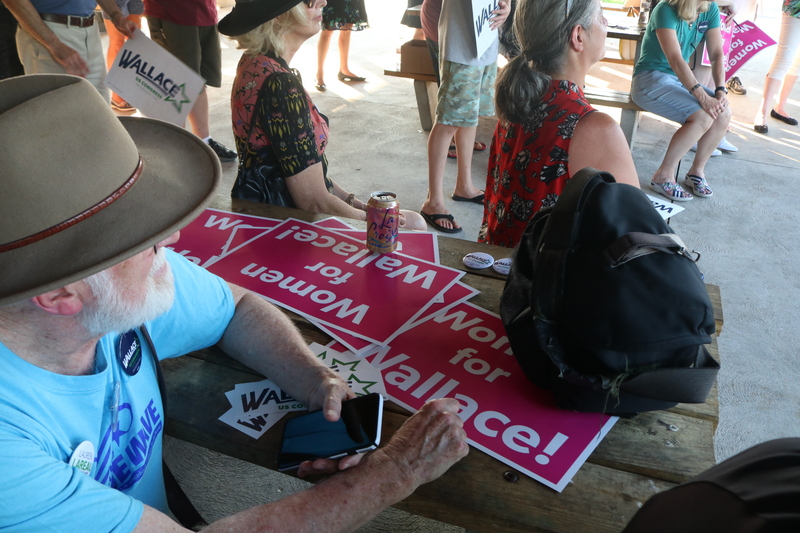 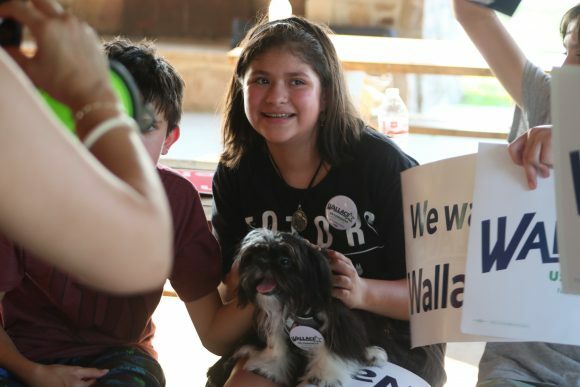 Wallace supporters were given informational packets and encouraged to go canvass Tuesday evening following the event. 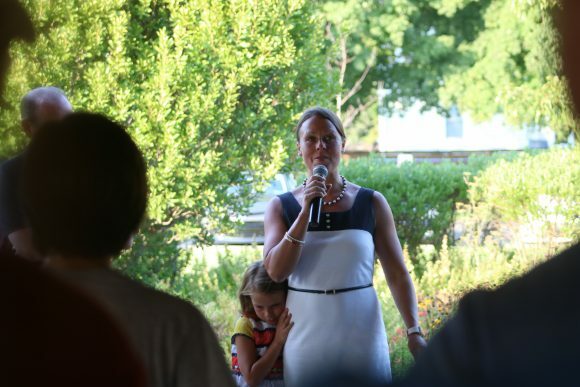 Middletown Supervisor Amy Strouse talking to Democrats.